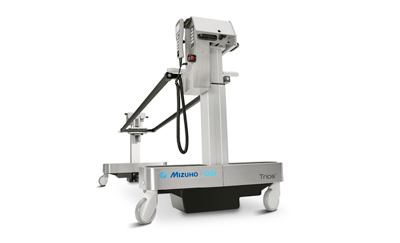 The Mizuho OSI Hand Surgery Table is constructed of lightweight carbon fiber materials and easily adapts to any general surgical table using two Clark Sockets, P/N 5393 (Not included). 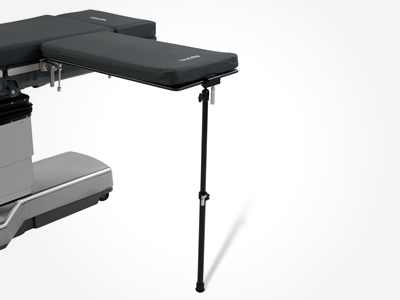 May be used in a completely self-cantilevered fashion or with optional Adjustable Leg Support (shown). Comes standard with a 2 in. Tempur-Pedic Pad for optimal pressure equalization.